The Sawmill Creek Turf Blog: Why is there garbage in roadside ditches? Why is there garbage in roadside ditches? After a brief flirtation with hot and dry conditions last month, the summer of 2017 has proven largely a warm and wet affair thus far. 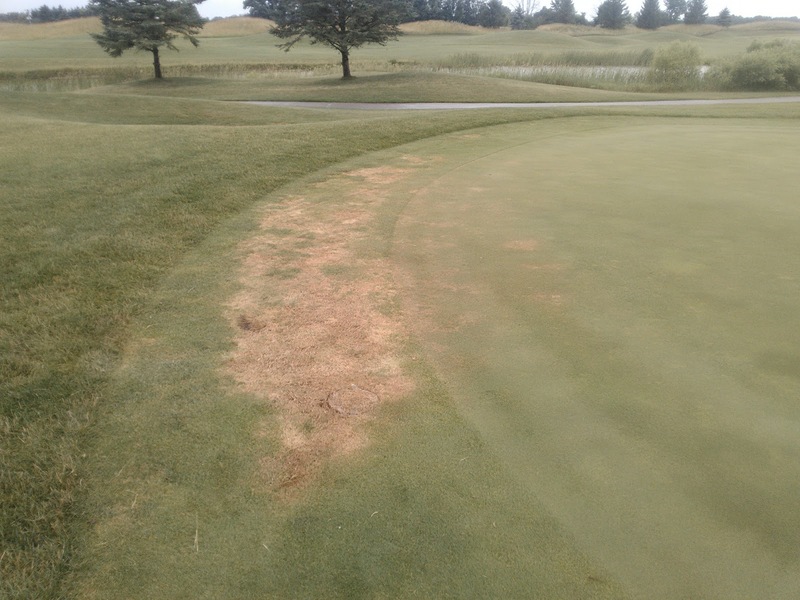 This can create challenging conditions for turf managers to cope with, as stressors are increased on turf health in times like this. If you are questioning why the odd title for this blog post, there really is a simple answer. You see, we as a golf community often question the need for the constant reminders to golfers, in adherence of common etiquette matters. 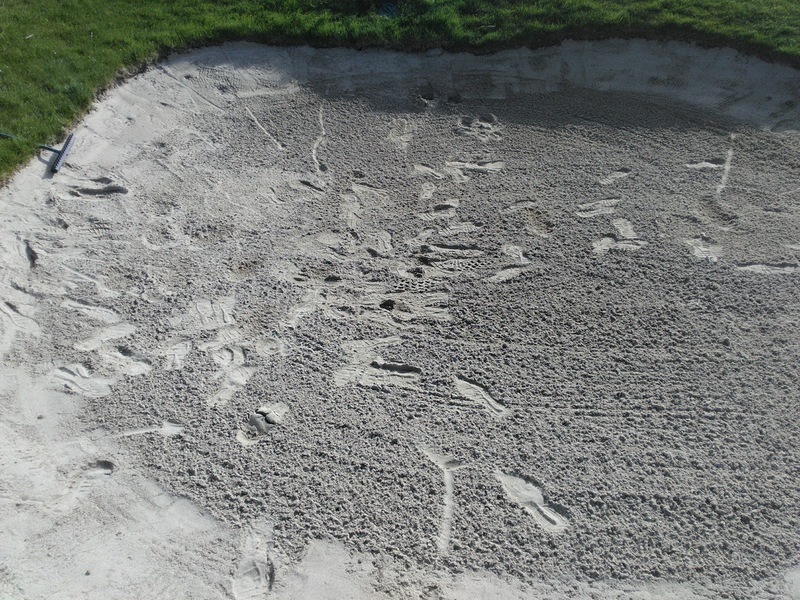 Why do we need to remind someone to look after the mess they made such as in the photo below? And I think the answer is simple; we are, as a species, inherently lazy. How else can you explain this? Or how can you explain the volume of roadside garbage, or the fact that most corner lot homeowners, experience wear and tear on their property from those cutting across their property to reach the sidewalk on the other side? 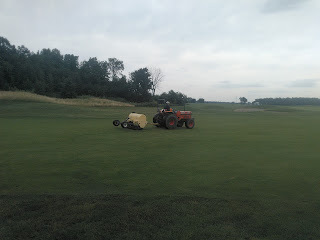 With the heavy rains yet again upon us, we took the opportunity to get out in front of them this morning, to break the crust which has been thickening on our fairways, and slice them open a bit to allow for some fresh air. The process is not very intrusive whatsoever, however, the payback is large. You may notice that a few of our collars have taken on a not so glamourous appearance recently. They look as though they are burnt out, and starving for water. This is not the case however, as these areas have been attacked by the Annual Bluegrass Weevil (ABW). The ABW burrows itself into the crown of a plant, and starts munching away. When we experience any sort of high heat or environmental stress situation, these areas succumb to their injuries, and give off the appearance that you see below. The great news about this is, however, the ABW only chews on Poa plants, and thus keeps our bentgrass population healthy. So look on the bright side; this give us the opportunity to reclaim these areas as bentgrass!